I just love these Mommy and Tot Tees for $13.99 (Retail $25). 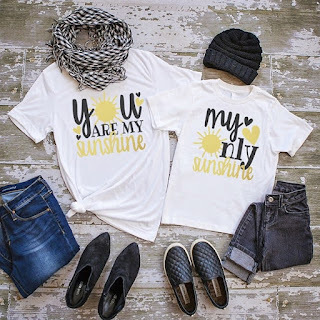 You will adore these Mommy and Tot Tees! Our adult tees are unisex fit. We recommend you order your normal size if you prefer the loose/boyfriend fit. If you prefer a fitted look you could size down.